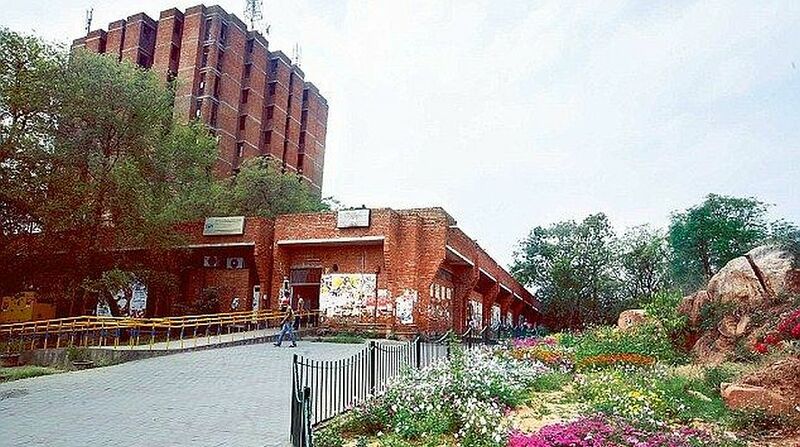 Jawaharlal Nehru University (JNU) on Sunday said it has built extra dormitories to accommodate around 500 more students in the last one-and-a-half years. “JNU has been over the year and half working assiduously to improve the facilities for its residents, specially for students. New dormitories with the added capacity of around 500 residents have been constructed to ease the hostel accommodation in JNU,” a note from the Dean of Students said. “All the roads leading to and around the hostels and residence area have been repaired and freshly paved to facilitate smooth traffic and parking,” it added. The official also said in the statement that a committee has been formed to “monitor cleanliness” in hostels and dormitories. Many students including the Jawaharlal Nehru University Students Union had raised the issue of the rundown state of toilets in many of the hostels and erratic supply of water there during the three-day visit of the National Assessment and Accreditation Council (NAAC) earlier in the month. The students, including the Teachers’ Union, had also alleged that they were not invited to meet the visiting NAAC team which gives ranking to universities and higher education institutes on various criteria. In its Sunday note, the varsity said to keep the hostels safe and secure and their optimal utilisation, it regularly monitors the unauthorised guests in the hostels through routine as well as surprise checks. It added that such raids are fully cooperated with by the students and warned them against “misinformation” about such raids spread by a section of students with “vested interests”.